Established in 2014, Stitched By You was taken over in 2017 by husband and wife team, Vivian and Julie Cook. 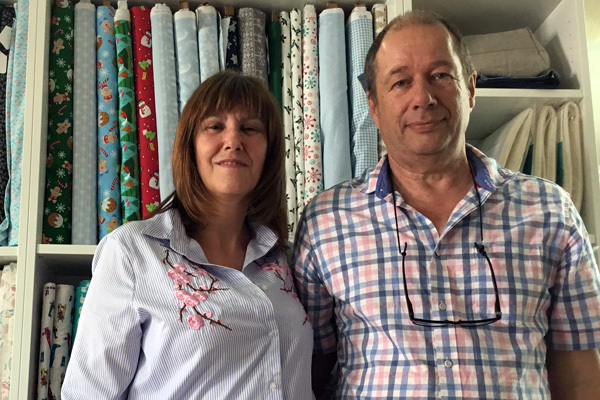 Vivian is a sewing machine engineer with decades of experience - having qualified in 1973! 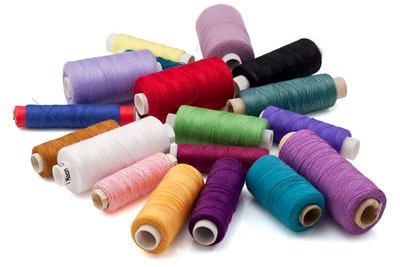 Julie has been kept busy by four children and numerous grandchildren for many years, and is now looking forward to meeting new and existing clients and managing the haberdashery shop. Having run a busy sewing machine repair shop in Bognor Regis, West Sussex for some time, Vivian is excited to add servicing and repairs to the Stitched By You portfolio, as well as getting to meet the wonderful Stitched By You community by teaching some of the workshops. Wendy is a highly experienced tutor, with over 30 years' experience working within the fashion industry. She has taught to higher education levels MA & BA in fashion studios, aiming to enable her students to be able to make their designs come alive. Wendy has extensive knowledge of garment construction and pattern cutting techniques using flat or 3D methods. Wendy was previously a senior pattern cutter to McQueen and Roland Mouret, as well as for the M&S Collection. Val has been a dressmaker since her childhood, moving onto machine knitting as a young adult and then progressing to embroidery, which resulted in her completing her City and Guilds Creative Embroidery parts 1 and 2. Since then she has run a business dyeing and selling silk fibres, together with lecturing and running workshops about silk paper making. Val has exhibited her silk paper making all around the world! Jenny is a tailored lampshade maker. She uses traditional methods to make her beautiful shades, often with a modern twist. She particularly enjoys experimenting with different techniques and styles. Her work also involves bringing new life to old frames by stripping them back, repairing and then remodelling them in luxurious fabrics such as vibrant silks, tweeds and tartans. These result in statement pieces much more than just lampshades. Jemmy loves what she does and hopes she can inspire others too.